I don't know if I can rightly call myself a Thomas Pynchon fan anymore. Oh, in the day, I diligently worked my way up the Everest of "Gravity's Rainbow," with its dumb names and goofy songs and endless serpentine sentences coiling back on themselves. I marveled at his Cornell short stories in "Slow Learner." I did something while reading "V." that I've never done while reading a book, before or since: flung it away, with a flick of my fingers, revolted, with a "Yeech!" at its graphic descriptions of atrocities in the Congo. 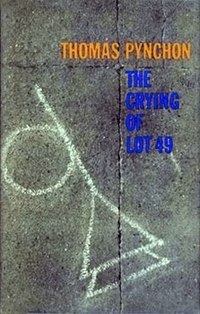 And the top, "The Crying of Lot 49." Brief, accessible, with funky Oedipa Maas and her husband Mucho. So hip, so ahead of its time—published in 1964, I believe— looking at the city below, thinking of printed circuits and computer code. And the hidden conspiracy, the post-office based Trystero system, back before too many ordinary Americans began embracing any cracked plot suggested to them as preferable to the messy truth. How I loved it, with their telltale scrawled Thurn und Taxis muted postal horn. The orange marks above look a little bit like it, and I stopped to admire them, and wonder if it might not be the hidden hand, finally revealed. I haven't read it, oh, in 20 years, easy. I'll have to give it another go. But after that, I soured on Pynchon: "Mason & Dixon" didn't seem worth reading, not complicated, just obtuse, and I gave it up. Then he started doing cameos on "The Simpsons" and his famous privacy just became a kind of schtick. 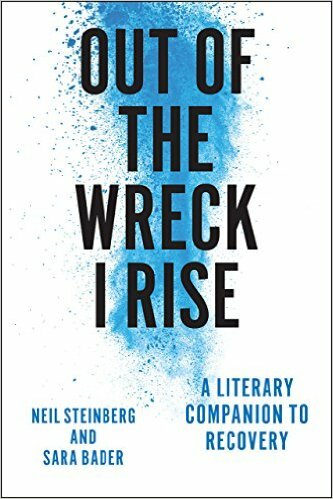 Finally, David Foster Wallace and "Infinite Jest" came along and ate Pynchon's lunch. So of course I paused to savor these scrawls—communication line markers, judging by their color. (I know this because of my secret journalist superpower of looking stuff up. The American Public Works Association distributes this handy key). Now that I've given the banal explanation, I feel I've let you down. I should have concocted a wild conspiracy to explain the marks: landing strips of alien spacecraft. Some portion of you would believe it, and your lives would be embroidered with wonder. Oh well, too late now. 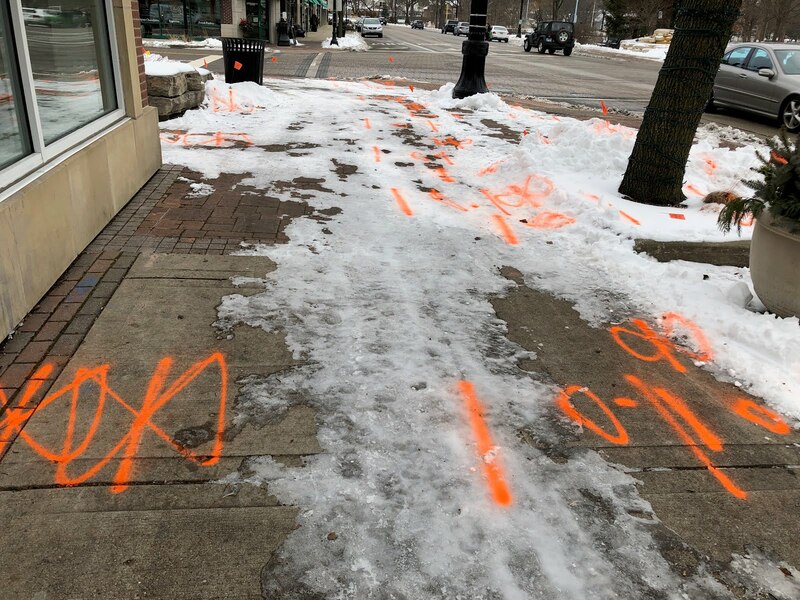 Whatever they were doing at the location in your photo, they must have been planning to do it fast, because otherwise, what would be the point of spraying those markings on a crust of snow?